Construction on Sheridan Road. The $13.3 million Sheridan Road-Chicago Avenue Project could be affected by the ongoing Illinois budget impasse, which lawmakers failed to end Wednesday. Illinois lawmakers ended their spring session Wednesday without agreeing on a state budget, setting up the impasse for a possible third year. Despite the Senate passing a budget plan last week, members of the Democrat-controlled House could not agree to vote on the plan. The impasse — the longest state budget drought in modern American history — has resulted in significant tension between Democrats and Republicans and left many of the state’s services without funding. On Wednesday, Illinois politicians decried the inaction and continued to point fingers at one another. Lawmakers will be in “continuous session” over the summer to try to reach a deal, but they will need a three-fifths majority rather than a simple majority to pass a bill. The stalemate was briefly relieved last year after the General Assembly passed a stopgap budget to fund social services, public schools and state universities through the end of 2016. However, the plan ran out without a backup. The state Senate plan included an income tax increase and a two-year property tax freeze, but Rauner has said he would not sign the bill without a four-year property tax freeze. The new fiscal year begins July 1, but state leaders are not optimistic about reaching a deal before then. Madigan said state Rep. Greg Harris (D-Chicago) will lead public hearings on the budget over the summer, with the first scheduled for June 8. Rauner, however, urged Democratic lawmakers to “not travel around the state holding sham hearings about a balanced budget” and called on them to work toward a deal that protects taxpayers. “We have the highest property taxes in America, and we should not even be talking about tax increases unless we pass a property tax freeze along with local control of whether taxes go up or down on our property tax owners,” Rauner said. The protracted budget impasse could impact Evanston’s Sheridan Road-Chicago Avenue Project, a $13.3 million plan to improve road conditions and add a protected bike lane. The improvement project would run from Grove Street to the intersection of Ridge Avenue and Isabella Street. City manager Wally Bobkiewicz told The Daily that funding for the project is distributed by the Illinois Department of Transportation, which requires authority from a state budget or appropriations bill to continue paying contractors. If no deal is reached by July 1, IDOT wouldn’t be able to pay contractors and would have to shut down its projects, Bobkiewicz said. 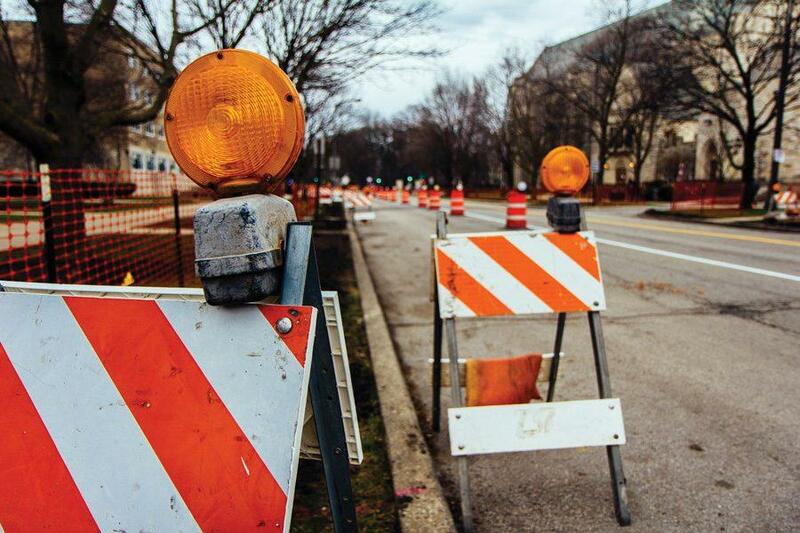 A similar problem occurred last June when a construction project to upgrade the three-way intersection at Emerson Street, Ridge Avenue and Green Bay Road was temporarily halted due to a lack of state funding, Bobkiewicz said. Bobkiewicz said city officials have been in contact with local lawmakers and Northwestern administrators to share their concerns about the project. The first phase of the project, which is scheduled to end June 12, has involved work on Chicago Avenue from Grove Street to Sheridan Road. Phase two will last from June 19 until Sept. 15 and will include Sheridan Road from Chicago Avenue to Lincoln Street. The last phase will begin in April 2018 and last until mid-October of that year, reconstructing the stretch of Sheridan Road from Lincoln Street to the intersection of Ridge Avenue and Isabella Street. “We’re just going to have to watch … and see what happens and hope that the timing of this is such that the General Assembly will provide the necessary authorization for the project to continue without interruption,” Bobkiewicz said. Beyond the road improvement project, Bobkiewicz said any changes to the state income tax or a property tax freeze could impact Evanston and its revenue stream. But Evanston is a home rule municipality, which means any proposed property tax freeze would require additional votes to take effect, he said.